Anyone who has suffered from acid reflux knows that the condition comes with a huge host of unpleasant symptoms, such as heartburn, bloating, and nausea. 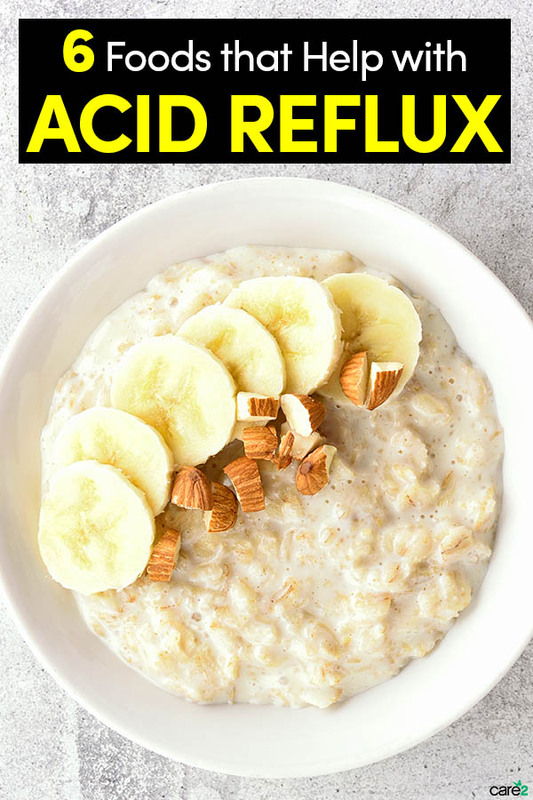 If you’re one of the 60 million Americans that experience the burning sensation of heartburn at least once a month, you’re probably desperate to find a solution (read up on how to treat acid reflux naturally here). Here’s the good news: diet plays an essential role in acid reflux, which means that you likely have the option to reclaim at least some power over your heartburn by altering the food that you put on your plate. Different foods react differently with the body’s esophageal sphincter, a circular muscle that, when weak, allows stomach acid and food to escape back into the esophagus. Therefore, the key to staving off acid reflux is to find foods that don’t irritate your esophageal sphincter. These foods help alleviate heartburn symptoms and can even help fight off acid reflux. 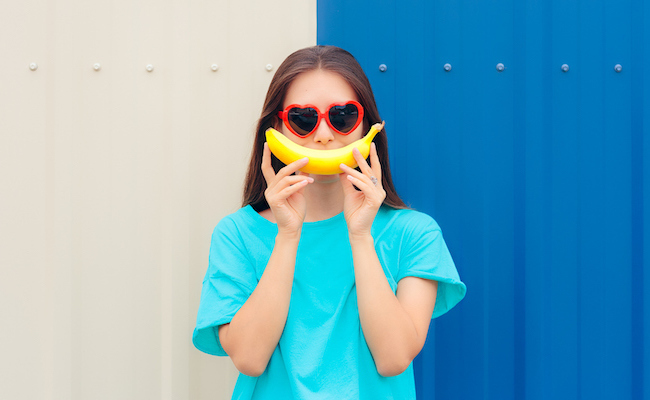 Bananas are alkaline fruits with a pH level of 5.6, which suggests that they could help stave off that unpleasant burning sensation synonymous with heartburn. Honestly, is there anything oatmeal can’t do? This super-filling option is loaded with fiber and antioxidants. Additionally, oatmeal will help stabilize your blood sugar and is great for your cardiovascular health. Because most nuts—such as cashews, walnuts, and pecans—are not acidic in the same way as coffee and citrus fruits are, you might not think of them as heartburn aggravators, but they are. Foods very high in fat can slow down the emptying of the stomach and lead to heartburn. Almonds are the exception, because they tend to be alkaline. Research has suggested that aloe vera juice—which is rich in vitamins and minerals—may help to reduce the production of acid in the stomach and has anti-inflammatory properties that help with heartburn symptoms. When consumed in moderation, ginger helps bolster healthy digestion, which is key to avoiding acid reflux. It also comes with an array of anti-inflammatory properties that help reduce inflammation of the food pipe. If you swore off potatoes after noticing increased heartburn symptoms after eating french fries or mashed potatoes, don’t worry—the oil and the dairy were probably to blame. Not only can a baked potato help with heartburn, but it provides more potassium than even a banana and is rich in fiber, magnesium and antioxidants.